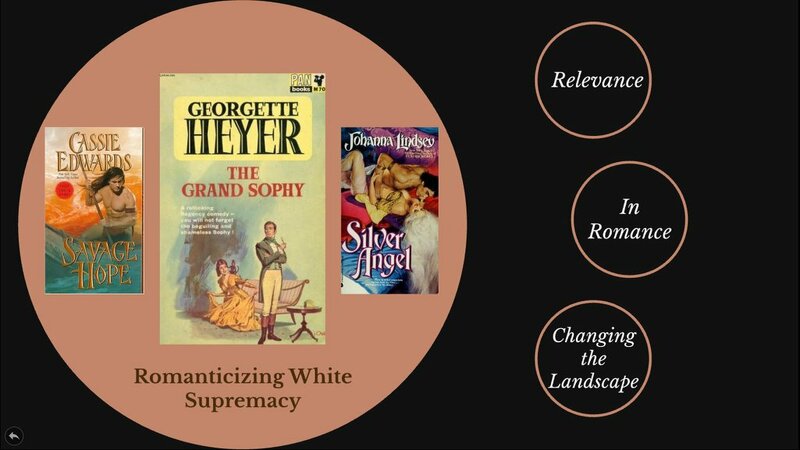 This is a presentation I gave at the Researching the Romance conference, hosted April 13-14, 2018, at the Bowling Green State University's Browne Pop Culture Library. It was titled "History's Been Hijacked: How To Combat White Supremacy Through Popular Literature." PRICE: I've set this so you can choose your own price. I want it to be free to anyone who wants it! But if you'd like to kick a little something my way, my bill collectors thank you for your consideration.